*This post is in partnership with Dreamworks, but as always opinions are 100% my own. DreamWorks Animation Television and Netflix Announce Season 2 of DreamWorks Voltron Legendary Defender Following the season one cliffhanger, Team Voltron has been scattered throughout the universe in the aftermath of a perilous battle with Zarkon, Haggar and the evil Galra Empire. Working to bring the lions back together to form Voltron again, the Paladins' plan to defeat the Galra once and for all takes them across the universe in search of new worlds and unexpected allies. Find out if their plot to take down Zarkon succeeds when Season 2 of DreamWorks Voltron Legendary Defender is now streaming on Netflix. Season 2 of Dreamworks Voltron Legendary Defender now streaming only on Netflix. The giveaway prize will be an assortment of toys from the ones seen above. 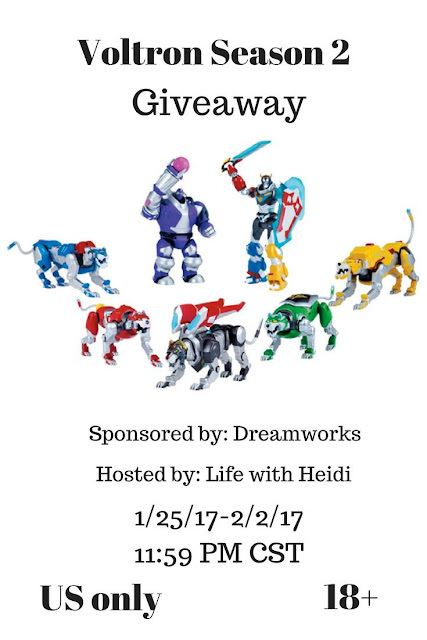 This giveaway will run from 1/25/17-2/2/17 11:59 pm cst. 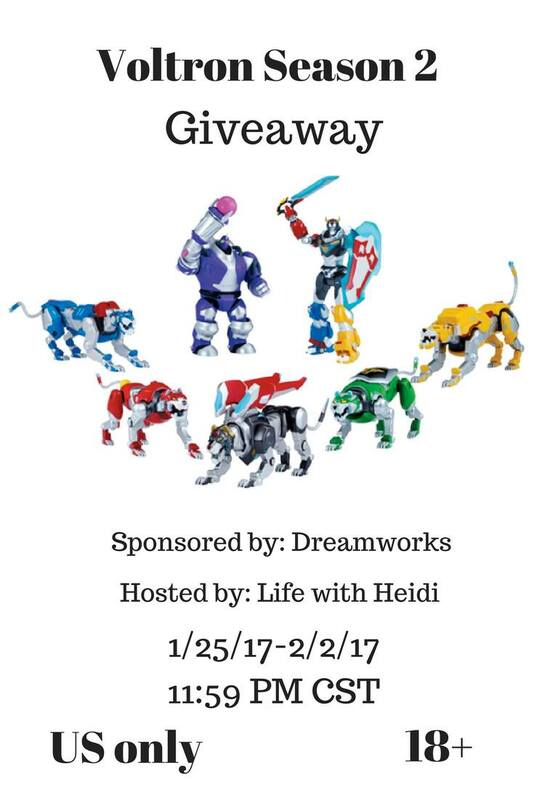 One winner will receive a random section of Voltron toys! Stoker is our favorite character. My son would like this. My grandson's favorite character is Stroker. He would love this prize pack!